The end of the year has a certain weary energy. All months have their own feel, and December’s is an exotic combination between the bustle and congestion of the holiday season, and the blank check of a whole new year lying just past it. Somehow we’re only two weeks from the ball-drop, and it’s time to start thinking about what you want this next year—your 35th, your 19th, your 68th, whatever it is—to be like. I’m generally skeptical of New Year’s Resolutions, not because the New Year is a bad time to improve ourselves, but because a once-uttered promise to ourselves doesn’t really change how we live. 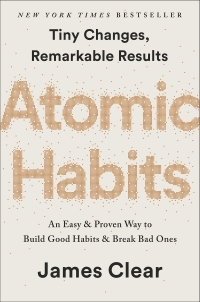 We need new, well-defined behaviors, applied consistently for at least three or four weeks, to give us a dependable chance at lasting changes. In other words, it’s regimens, not resolutions, that create those dramatic improvements we dream about every December. This morning I opened registration for Camp Calm. I know some of you have been waiting to book your spot, and in that case you can go ahead and register here. If you don’t know what Camp Calm is, I’ll describe it as briefly as possible. This January, I’m holding a 30-day virtual workshop for people who want to learn to meditate and develop basic mindfulness skills. The course is conducted mainly through email, with some audio components. For years now I’ve been writing about what these simple skills can do for a person. I’ve experienced drastic changes in my sense of well-being. I don’t get bored any more, my work ethic is much better, I’m less self-conscious, and I can handle dilemmas and even physical pain much more calmly. I’m less reactive, more confident, better at problem-solving, and I find ordinary experiences like walking to the store and parking my car really enjoyable. Mindfulness has even improved my penmanship. 1) Someone telling you what to do every day. This removes a major sticking point for new habits: not knowing exactly what to do. I will tell you. 2) A fun, event-based structure for learning these skills. Because Camp Calm happens within a limited time frame and has specific tasks to do, it’s easier to gear yourself up for it and to commit to doing the work. 3) Accountability and tracking. You will be keeping track of whether you’re doing each day’s work (it’s not much work, don’t worry) and I’ll be checking in with you throughout camp. 4) A community of people doing it along with you. Every day, other campers all around the world are joining you. When you sit to meditate, we’re sitting too. When you’re out in the world practicing mindfulness, we’re out there too. Each day of the camp you’ll receive an email with a short reflection or lesson, plus the day’s assigned practices. Nothing you will have to do is particularly difficult, and it won’t take very long. The strategy is to keep the practices short but to do them consistently, in this case every day for a month. Both the guides I mentioned above are included free in the camp. We’ll be working from each of them, reading a bit every day, and using what we learn in the real world. There is also an audio element to the course on some of the days. 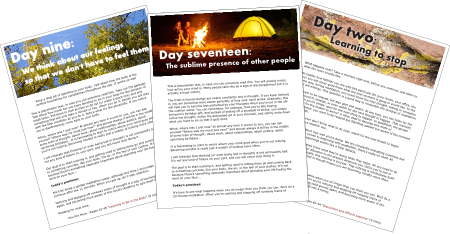 I’ve recorded a few guided meditations in mp3 format, which we’ll all be doing on certain days, and which you can use on your own for the remainder of camp (and afterward). The daily email will probably take about 5 minutes to read. Each day, I’ll assign a small amount of reading from the guides, probably about 10 or 15 minutes’ worth. We will also be doing a short meditation every day. In the beginning it will only be a few minutes, and by the end of the month we’ll be experimenting with longer ones (up to 20 minutes). Average time investment per day is about half an hour, which you can split up as you please. You could read the email at breakfast, read from the guides during a coffee break, and sit in meditation later on, or do it all first thing, or last thing—whatever works for your schedule. We’ll be experimenting with some short mindful living practices too. These won’t take any additional time though, because you’ll be applying them to things you already do, such as walking, putting on clothes, preparing meals, and other things. They’re easy and often fun. Camp begins January 4th and ends February 2nd, so it won’t begin until the holidays are over. But you can read ahead in the mean time. By the end of camp, you’ll have an established daily meditation practice, the capacity to bring mindfulness to virtually every moment, and almost certainly a much clearer mind. My goal is to give you the best possible start to 2016. If you’re interested, register at the link below, and you will be sent everything you need. Spots are limited because I need to be able to answer all campers’ questions in a timely manner. 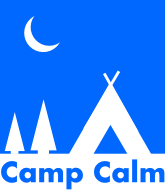 Register for Camp Calm here SOLD OUT! You can download your welcome package right away. This is going to be a ton of fun and I hope you’ll join us. UPDATE (12/22/2015): Camp Calm’s inaugural season is sold out. Because it was so popular I will be holding another season in the spring. Click here if you would like to be kept up to date. Looking forward to it David…I hope it is hugely successful for you! Thanks so much Randy! It is really popular so far and I’m thrilled. I send my raptitude to my Kindle and read it in the sun, you got some great insights that my mind is ready to receive but never quite articulated until I see them here. The emails could contain just 300 times the world “trololo” and I’d still be content with it, I’d like to support this blog either way. Thanks David for helping us organize our thoughts. I have – and love – your books. How to Save the World is my favorite. I’m signing up for Camp Calm as a act of gratitude for the great insights and inspiration you and your blog provide in my life. It is one more small investment in myself and in people I consider points of light. Ah Gretchen Rubin is great. I’m really glad you (and brotherbryan) above are framing this in terms of an investment. It is something we’re doing for ourselves and I really do believe it will pay dividends in every aspect. Have a great year-end and I’ll see you in the New Year. I just signed up and I’m looking forward to it, especially since it’s your class and you’re the instructor. I really admire your insights and how you see the world. I always seem to learn something new or discover something to think about from your blog. You’ve re-framed the way I see the world more than a few times. Thanks Christine! I hope you love the camp, and I’ll see you in January. I have admired your blog posts (and shared them with my friends) for some time now. I’ve just signed up for Camp Calm for three reasons. First, I am really happy to support you and your great work. You’re a clear voice for better living, which I really appreciate and look to often. Second, I’m starting to think about my 2016 goals and a healthier life, both mind and body, certainly is top of my list. Third, I have sporadically applied your advice re mindful living but have not yet formed a regular practice. I am really looking forward to the Camp Calm experience, although may lag a day behind being in Australia. 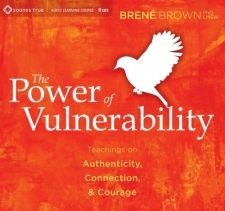 I also really love the idea of a 30 day virtual camp, which I imagine as a format that could be used for many topics (mindful writing etc etc). Good luck! I’ll be ready for your first email. Thanks Amanda. I really do believe camp will put you in an excellent place for creating a pivotal 2016. I love the idea of the 30-day virtual camp too. It has been a big success and it’s probably a good format for other topics too. To immerse ourselves in developing an area for a month without needing too much time every day. I’d like you to know that because I’ve been reading your blog for so long, I’m finally ready to learn how to meditate. That said, I feel very comfortable knowing that you are willing to be the guide. You have a very clear, logical and concise way of explaining your thoughts and the concepts, implications and goals of meditation that I find reassuring. I’m really looking forward to Camp Calm, thanks! That’s great news. I’m going to be presenting meditation in the least intimidating way possible. See you in the new year. Congratulations on the launch of the inaugural Camp Calm! I hope it’s a huge success. The fact that it is now sold out would seem to indicate so! I missed the bus to camp this time, but I won’t let that deter me from continuing to apply what I’ve learned from Raptitude over the last couple years while I wait with hope with other latecomers for another opportunity to attend. 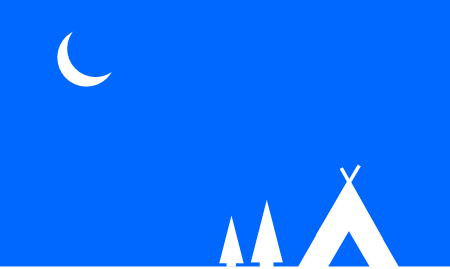 And I would strongly suggest that anyone else who finds themselves unable to attend Camp Calm read You Are Here: A Modern Person’s Guide to Living in the Present, and Making Things Clear: A Brief Guide for People Who Think Meditation is Hard. It’s essential reading and I have found it an indispensable, clear guide for developing basic mindfulness skills. And of course, the guides do contain everything you need to know to learn on your own. Camp gives daily guidance, but a self-starting person can absolutely do it without any additional help. I bought this for myself as a birthday present (Jan 2). One of my goals for the new year is to made meditation a part of my day-to-day routine – not just an occasional activity. I’ve gotten more out of reading your insights (on many topics) than any other single writer, and I’m very much looking forward to your guidance. Thank you for running this! I’ve been participating in Camp Calm and I just love it. I’ve meditated off and on through the last 10 years and really needed a boost to get going again. Camp Calm is definitely it for me. I can’t say enough what an excellent thing you’ve put together. Dear David. Mindfulness keeps me in the proper state for gratitude. The more aware I am, the more my life is peaceful. Priorities are dealt with calmly. I have worked to achieve my goals and have what I need to call upon to help me resolve the trials that , under “normal” everyday living, sometimes do present themselves. They do not rattle my sense of being and peacefulness. I have had to work to achieve this state and it is such a blessing to my life. When I wrote to you previously, I was determined to put things into perspective and deal with projects that I felt I wanted completed, certain of which are ongoing, but now I understand that that is just fine. Thank you for your support and insight and sharing your wisdom.